Warren and Debbie have served in international church ministry since 1998. They served at the Bandung International Church in Indonesia for 11 years. During that time Warren also helped establish the Missional International Church Network, which connects International Churches and leaders around the world and helps develop a global view of missions (http://micn.org). 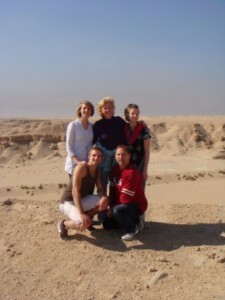 In 2010, Warren was called as an assistant pastor to the Lighthouse IC in Kuwait (www.tlckuwait.com) . He became the senior pastor at Lighthouse in March 2012 and leads a large staff which ministers to thousands each week through as many as 25 services each weekend. Debbie has ministered through her creative gifts. She is a talented musician who led the church music program while in Bandung. She is also a gifted artist and her paintings appear in collections throughout the world. She primarily uses watercolors to capture God’s world and give glory to Him. She has a residential studio in Kuwait and teaches students from North America, Europe, Asia and Africa. She ministers to children and women as well year round through ministries in Lighthouse. Warren and Debbie have three grown children who reside in Toronto, Canada.